This Kit contains everything you are likely to need to rebuild your full engine and is ideal if your block is unserviceable (Supplied with new block & standard size pistons). Bearing sets are supplied in standard size. Please advise specific sizes required at time of ordering. Oil pump, filter & pressure switch. 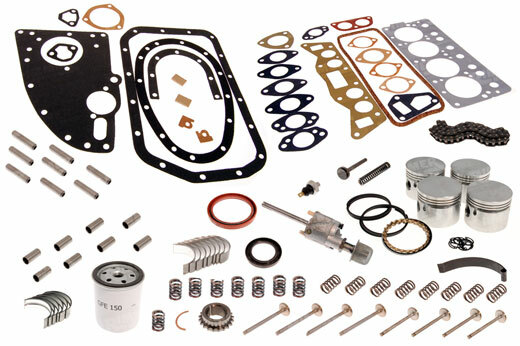 This Kit contains everything you are likeley to need to rebuild your full engine, we assume you will have your own engine block re-bored and any other machining work done as required. Piston sets are supplied in + 0.020" oversize & bearing sets are supplied in standard size. 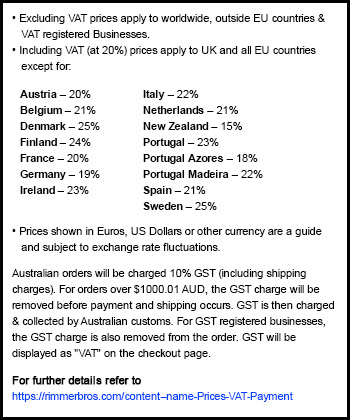 Please advise if specific sizes are required at time of ordering. 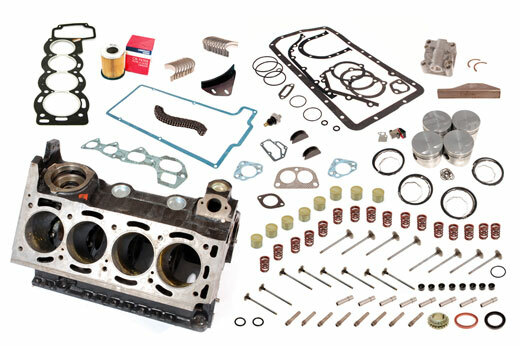 This Kit contains everything you are likeley to need to rebuild your full engine, we assume you will have your own engine block re-bored and any other machining work done as required. Piston sets are supplied in + 0.040" oversize & bearing sets are supplied in standard size. Please advise if specific sizes are required at time of ordering. 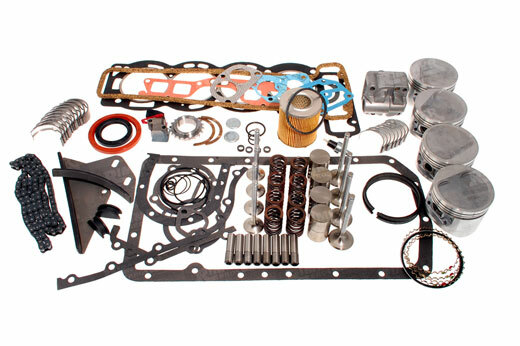 This full engine rebuild kit includes the miniumum of parts required when rebuilding an engine (less crank & cam); and assumes that your cylinder block, head, crankshaft & camshaft are all serviceable. Crank bearings are supplied standard size and pistons are supplied +0.020" oversize. Please state if alternate sizes are required.